Discover the lives of the Women in the Bible, their struggles, their faith, their remarkable stories of God's goodness to them. Arranged alphabetically, so it is easy to locate the women, whether well-known or obscure. 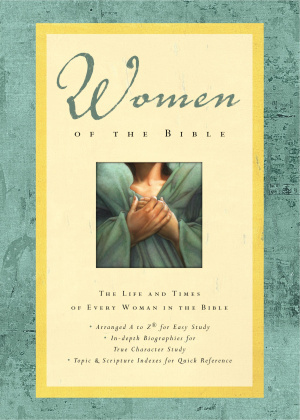 Women of the Bible by Lawrence O. Richards was published by Thomas Nelson in October 2003 and is our 8193rd best seller. The ISBN for Women of the Bible is 9780785251484. Be the first to review Women of the Bible! Got a question? No problem! Just click here to ask us about Women of the Bible.